This is the first time ever that a target of the NSA’s controversial Prism program has been recognized. Based on documents provided by Edward Snowden – the whistleblower, Tony Fullman, a New Zealand citizen who was born in Fiji, had the contents of his Facebook and numerous Gmail accounts intercepted by the NSA, reports the Intercept. Unfortunately, Fullman has a sob story. A pro-democracy activist who opposed Fiji’s military ruler, New Zealand spies suspected that Fullman was planning a violent revolution in Fiji. Therefore, in 2012, spy operations from New Zealand and the NSA raided Fullman’s Australian home, his passport was revoked, his foundation’s telephones were bugged and he was put under top-secret NSA surveillance. 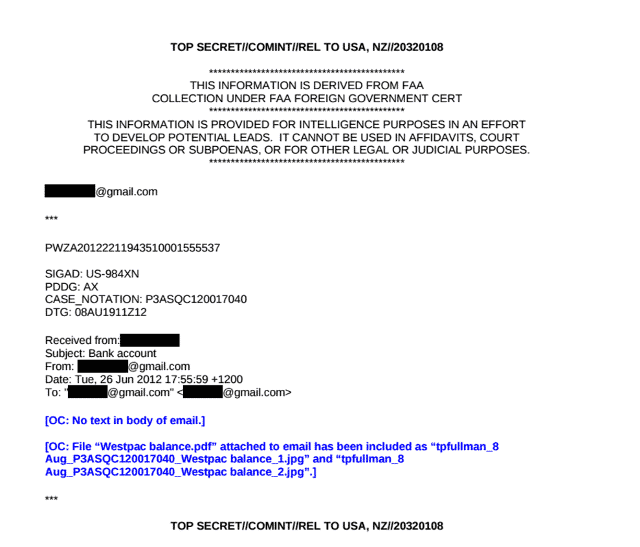 During this time, New Zealand spies asked the NSA to a keep a watch on Fullman’s communications through his Facebook account and his Gmail accounts. To conduct the electronic eavesdropping, the NSA turned to one of its most controversial surveillance programs, Prism, which was also the second major revelation to come out of the Snowden leaks. The agency uses Prism to secretly obtain communications that are processed by major technology companies like Google, Apple, Microsoft, and Yahoo. No evidence was found that proved Fullman was planning to overthrow the Fiji government even with the intercepted communications. 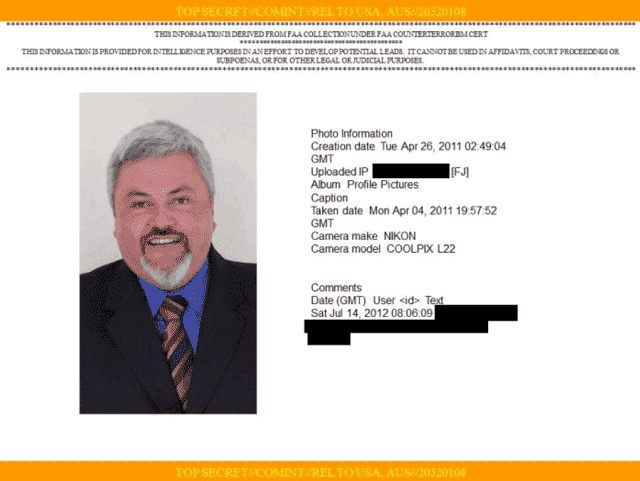 This is a picture of Tony Fullman in NSA files taken from his Facebook. It has the EXIF data created by the camera he took it with. 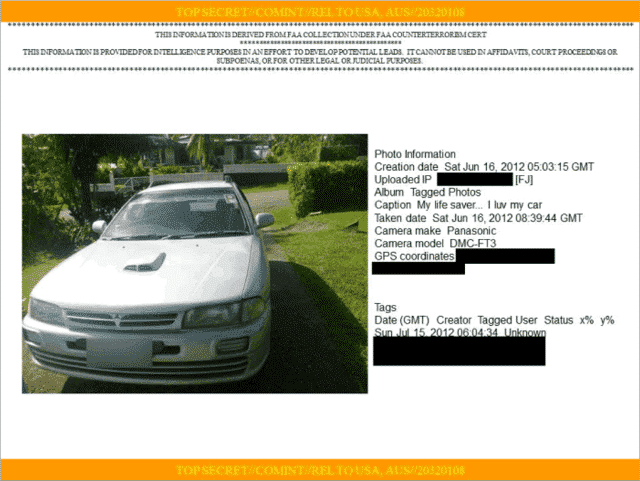 This top secret document shows a picture of Fullman’s station wagon uploaded to Facebook. 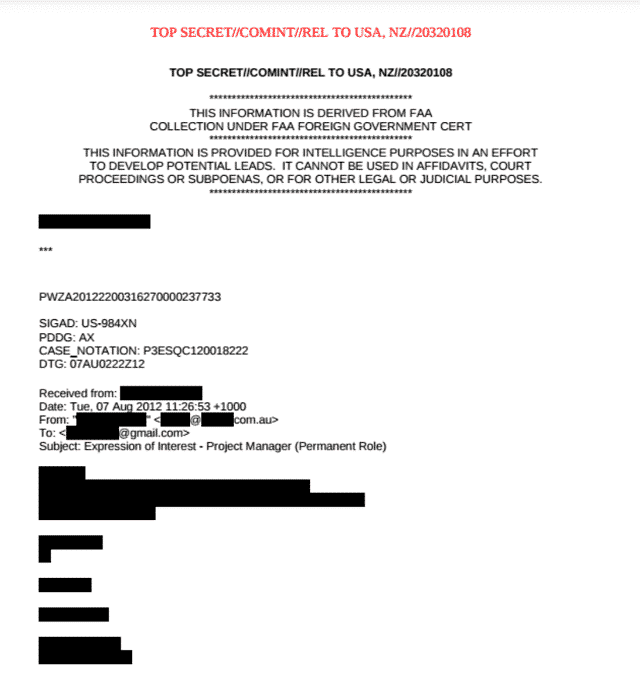 “US-984XN” is the code for surveillance under Prism, according to the Intercept report. This email taken from Fullman’s Gmail includes an attachment defining his bank account. Here’s an email Fullman received from someone looking for a job with his resume attached. Read the entire Intercept report here. Thanks for the headsup. Have passed it on for the same.